Genuine British Army issue magazine speed loader. Used condition, but absolutely sound. 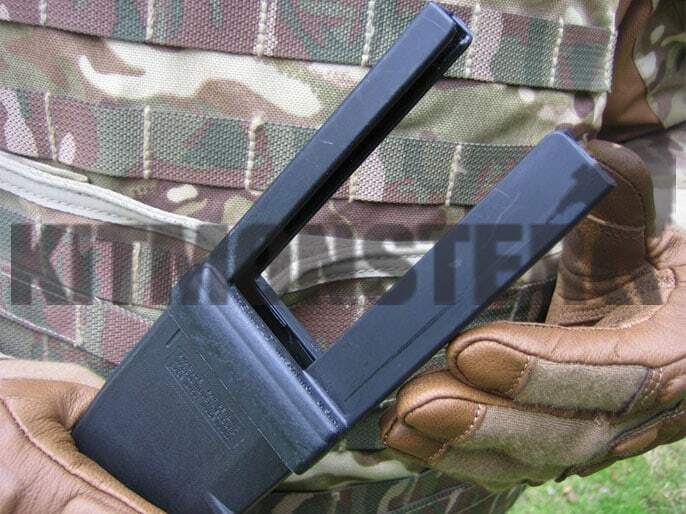 This loader will fit most 5.56mm magazines including Colt, Diemaco C7 & 8, FNC and SA80A1 & 2. US made tough black plastic frame for use with 5.56mm ammunition in clips. Sometimes issued with ammunition in bandoliers but becoming harder to obtain. Essential kit for 'bombing up' under pressure. Thermold brand item imported by us direct from the US. A more stable option than the US metal option. These will work with the new plastic strip clips but do take a bit of practice. Often found slotted into the central foliage loop on PLCE ammo pouches. Also seen in the attachment loops of Osprey armour covers in Afghanistan. 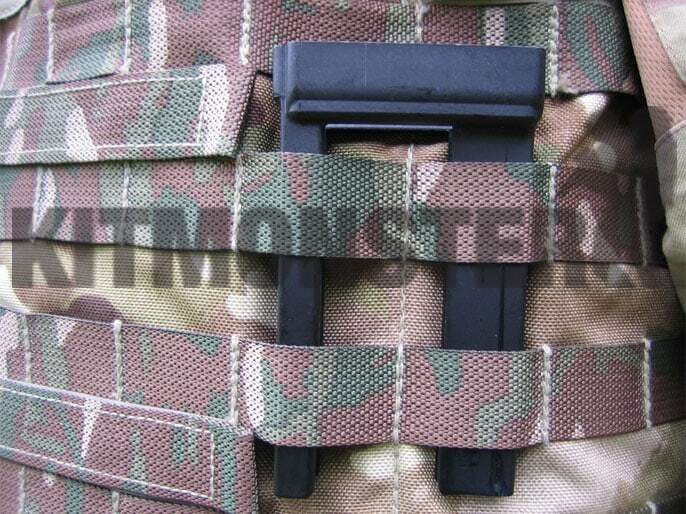 Kit Monster Tip: When using a speedloader tap the back of the loaded magazine against your palm. This helps align the rounds correctly. Do NOT tap against a hard surface, this knocks the rounds out of alignment resulting in stoppages.